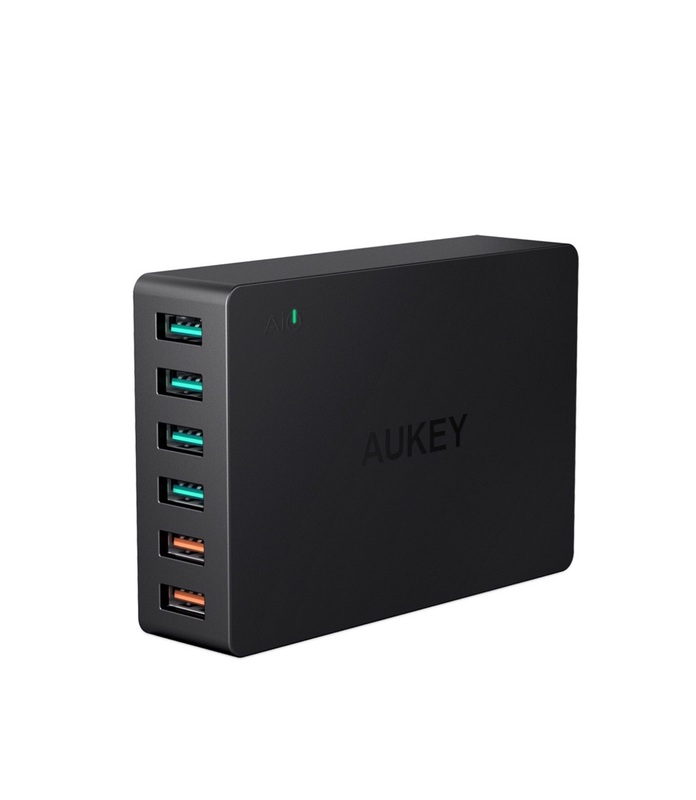 AUKEY 6- PORT USB CHARGER with 55.5W USB Charging Station with Quick Charge 3.0 Qualcomm Technology, Compatible with Samsung Galaxy S8/S8+/Note8, LG G6/V30, iPhone Xs/iPhone Xs Max/iPhone XR and More. (New) (New) $20 **** 5 pieces available ****. 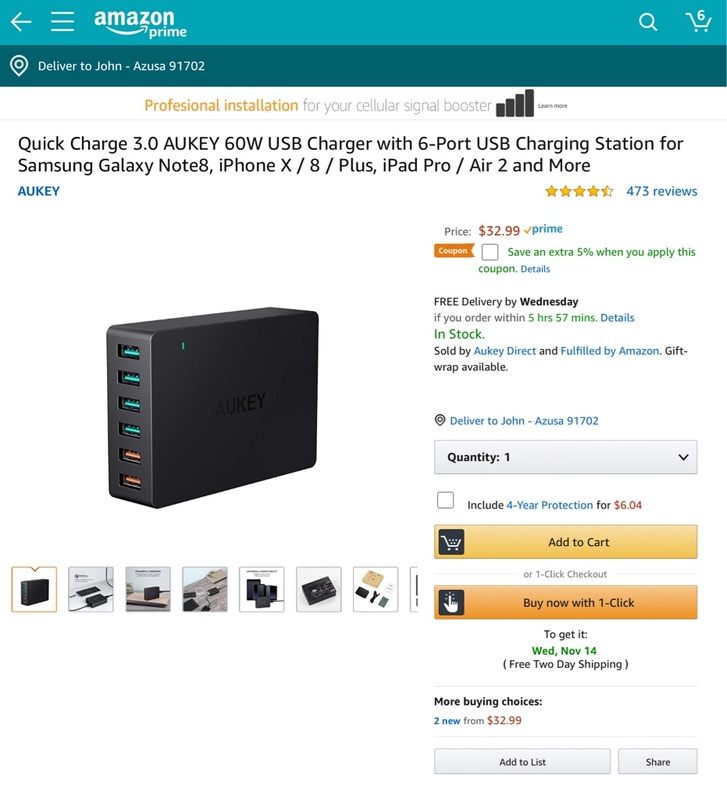 Amazon : $32.99 My Price $20 Qualcomm Quick Charge 3.0 Engineered to refuel devices up to 4x faster than conventional charging. Powered by INOV (Intelligent Negotiation for Optimum Voltage) Technology for fine-tuned power output and more optimized charging cycles. 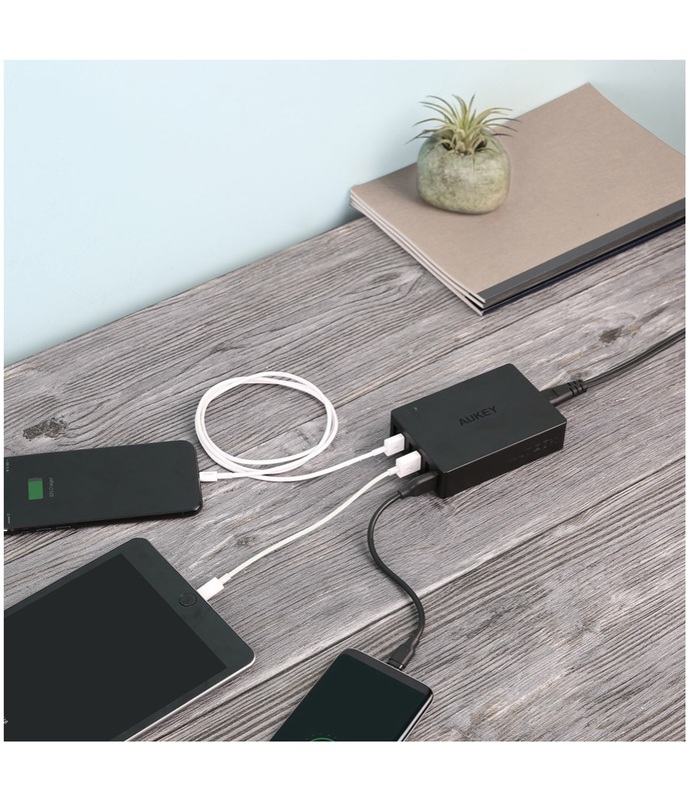 Up to 38% more efficient than Quick Charge 2.0 & compatible with a full range of USB connector types, from A to C. AiPower Adaptive Charging Technology Tuned to support healthier battery function and faster USB charging speeds, AiPower intelligently adjusts power output to match the unique charging needs of all your USB powered gear. With up to 2.4A of dedicated adaptive output per Ai USB port, your devices will each receive the safest maximum recharge rate possible. AUKEY EntireProtect Advanced circuitry and built in safeguards to protect your devices against excessive current, overheating, and over charging. 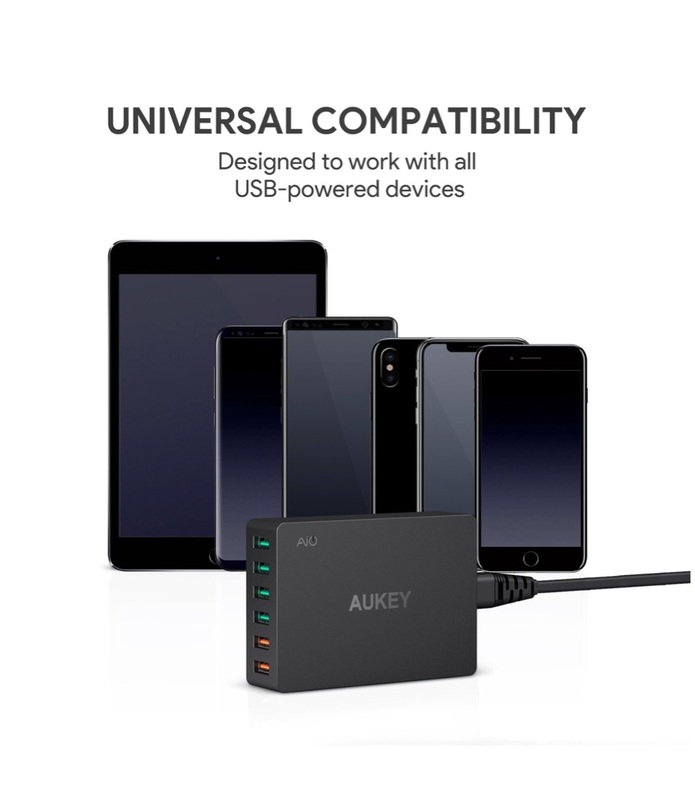 Universal Compatibility Designed to work with all popular USB powered devices from iPhones to Android phones, tablets, photography gear, Bluetooth speakers, headphones and more. Whatever USB powered gear you've got, we've got you covered.